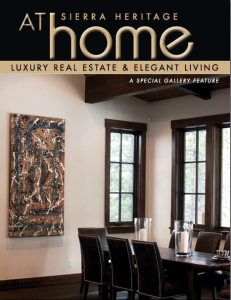 Special Feature of Sierra Heritage at Home – Ellu Gallery Cover!! 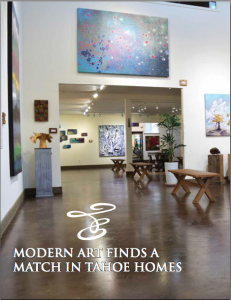 We are so very pleased to be the featured gallery in the new Sierra Heritage “At Home.” Our very own, Dean Gelber, is the creator of the piece of work shown on the cover. This is the dinning room in a house we have helped stage in Martis Camp, California with the help of MWA and THID. 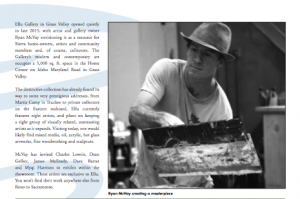 Inside is an 8 page spread of gallery and Artists – Ryan McVay, James Mulleady, and Charlie Lowrie, and Dean Gelber. 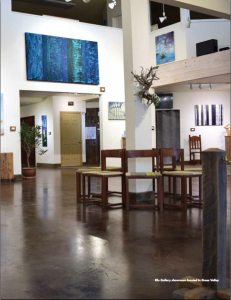 Elements of the Earth Art Exhibition. We are excited to announce our next upcoming show on April 22nd and 23rd! 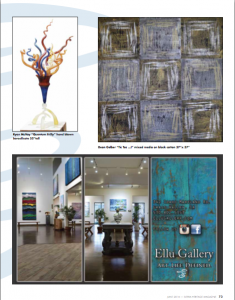 Ellu Gallery is honored to feature, for his very first show, the highly talented Dave Barter. 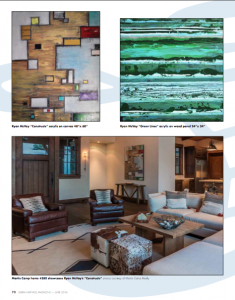 He is the creative genius and artisan behind very intricate wood instillations, made from reclaimed wood, creating dynamic and awesome accent to interior space. Continuing our exciting partnership with Clavey Vineyards, we will be sharing their wines at our event. Our musical guest this month is “Harps by Eah” with an amazing vocal and harp performance. 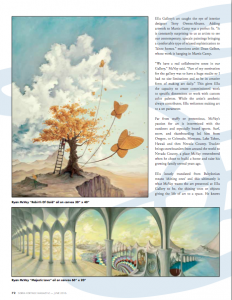 Exhibition includes acclaimed artists: Ryan McVay, Dean Gelber, Myqi Harrison, James Mulleady, Charles Lowrie, and Steve Sydow. 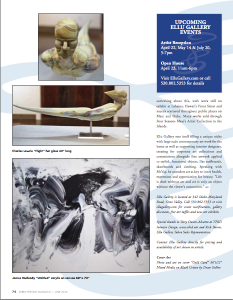 We invite you to join us, for this free to the public, truly enchanting evening, of aesthetics, taste, and entertainment. 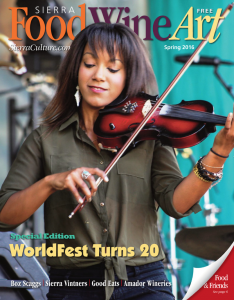 Thank You Sierra Food Wine and Art Magazine for the beautiful article!